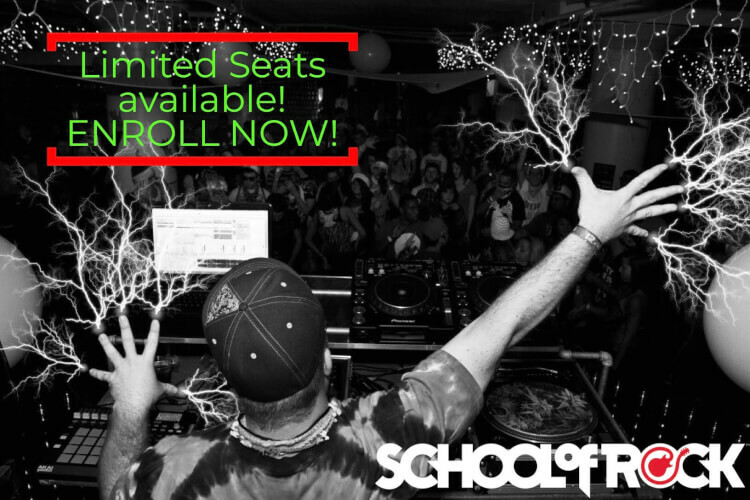 This EXCLUSIVE camp will teach students the ropes of the DJ world. Here, we will explore the history of DJing and ALL genres of music that encompass the art form. Attendees will gain knowledge of beat matching, labeling tracks, creating a full dj set, and getting a full understanding of how to perform on industry standard gear! There will be a performance opportunity at the end of camp, as well as the opportunity to participate in our DJ crew that forms in the Fall!Students will be learning from long time professional in the industry, Kevin Moore (aka:Spankalicious). Kevin spent a decade on the road touring coast to coast under the Spankalicious moniker. He has played festivals such as Electric Daisy Carnival (EDC), Camp Bisco, Sonic Bloom, Backwoods, Ultra, Burning Man, Counter Point, Wakarusa, Summer Camp, Arise and countless others. He has shared the stage/toured with Bassnectar, Pretty Lights, Eoto, Tipper, Griz, Yheti, G. Jones, Manic Focus, The Floozies, Big Gigantic, Caspa, Excision, Space Jesus, STS9, The String Cheese Incident, Vibesquad, and many more. Spaces are VERY LIMITED so sign up NOW!